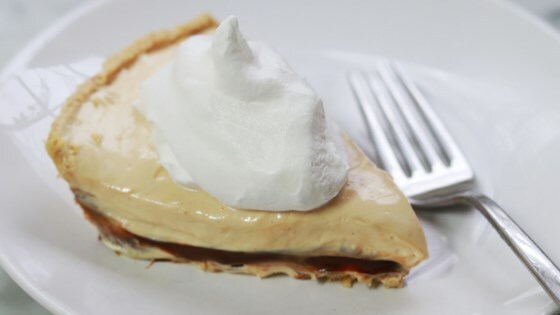 In a large mixing bowl, combine condensed milk, lemon juice, peanut butter, and marshmallow creme. Beat until smooth. Fold in whipped topping. Spoon 1/4 of peanut butter mixture into each graham cracker crust. Spread half of fudge topping over each peanut butter layer. Spoon half of remaining peanut butter mixture over each fudge layer. Garnish with chopped nuts. Freeze until firm, then serve. Made exactly as described and it turned out to be delicious! Such an easy pie to make and so tasty! I used creamy peanut butter instead of chunky and I completely omitted the hot fudge as I don't care for it. I will definitely make this one again.